A vile doctrine has gripped professing Christians. This lie from Satan has gone viral in the Church. It’s a typical case headed towards eternal damnation. ...for they have perverted their way, and they have forgotten the LORD their God. Being a proper Christian is not a stationary condition. If you are living in yesterday’s light today – then you are a backslider. A path is for moving forward. What are we to walk? We are to walk unto good works. We judge our image in the mirror as we move from glory to glory becoming more and more like the image of the Lord. But, good works come naturally after real faith. If you don't have any good works started by the Holy Spirit, then your faith is questionable. …Ye see then how that by works a man is justified, and not by faith only. Have you ever wondered what that point of all of this is? What is the point of life on earth? Most have a sorrowful existence in the world. We are here so God can have his own people. …as God hath said, I will dwell in them, and walk in them; and I will be their God, and they shall be my people. …yea, I will be their God, and they shall be my people. …they shall be his people, and God himself shall be with them, and be their God. What do God’s people look like? They are beautifully dressed in righteous acts. When we did our own good works, we wore ugly clothing. The only beautiful clothing acceptable is from the blood covenant (New Covenant/Testament) with Christ. These clean clothes (from Christ) are the only righteousness acceptable to God. Joshua needed the Lord’s beautiful clothing to be acceptable to God. We are ugly with our own good deeds – good deeds not started by the Holy Spirit. 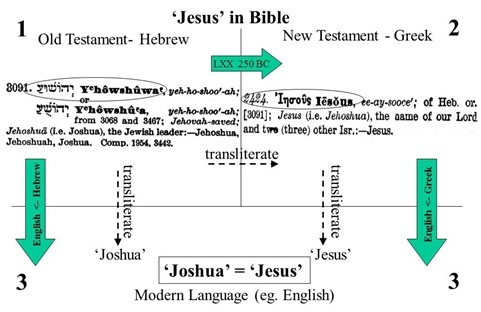 Joshua's name is the same as Jesus in Hebrew. Note how Moses and Mosiac Law could not get you to the promised land. To get to God’s land, Joshua (the Old Testament reference to Jesus) was necessary. …for thou shalt not go over this Jordan. The bride of Christ’s righteousness from God is indistinguishable from a bride’s beautiful clothing and accessories. And, when God’s people sin and pursue false gods – their own righteousness and own 'good' works is indistinguishable from their own ugly clothing and ugly accessories. Well... do you know Him? Or are your works of ‘iniquity’? – where you are saved only to be cast out because of lack of beautiful clothing? Will you be a servant who is cast out because of lack of beautiful clothing/good deeds from the Lord? Laziness. But what is the nature of these good deeds/beautiful clothing? Struggle, difficulty, perseverance, endurance and overcoming to victory. Both those of Christ and those not of Christ endure the difficult flood. …that we must through much tribulation enter into the kingdom of God. Trial and affliction perfects us. How do you learn to endure? By enduring. How do you learn to persist? By persisting. How do you learn patience? Patiently. Day by day we get perfected – by affliction through following in obedience to Christ. …but though our outward man perish, yet the inward man is renewed day by day. Endure hardness to not be blotted out of salvation. …Therefore I endure all things for the elect's sakes, that they may also obtain the salvation which is in Christ Jesus with eternal glory. How do we learn to overcome? By overcoming. Have we discovered our place? Have men learned to lead and overcome female authority? Have we cast down the false gods and defeated the whore of Babylon which is feminism? Have the loud, rebellious women repented and changed their ways – and beautified herself? Have women learned to submit? Are the images of men and women perfected to a spotless bride of Christ? The snow might be painful, but it will cleanse you. Or will the world’s heat get to you?